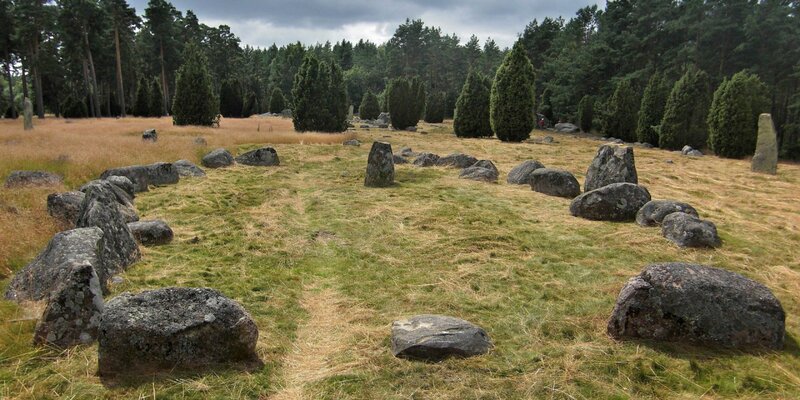 Horsahallen, sometimes called Hästhallen, is located near the settlement Möckleryd, about 9 kilometers south of Jämjö. 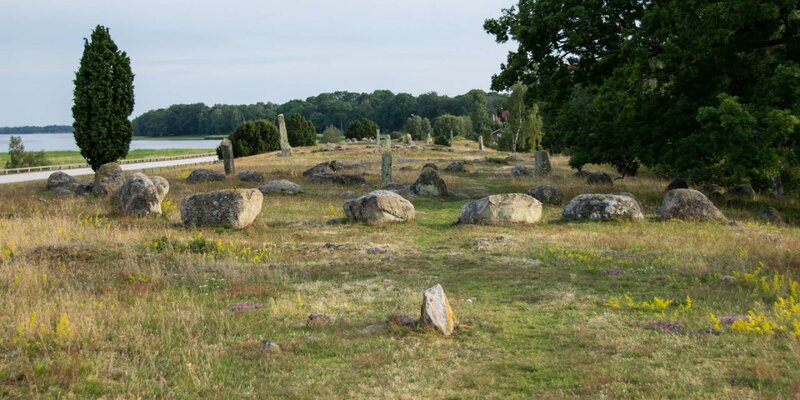 It is the largest collection of prehistoric rock carvings in the county of Blekinge. 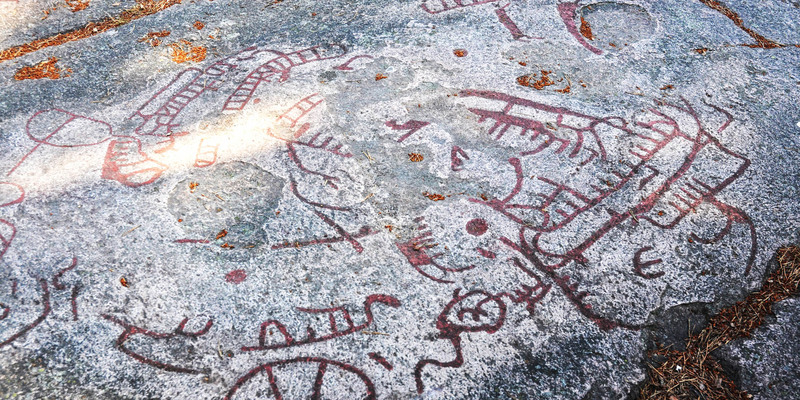 Horsahallen consists of about 150 drawings on an area of 10x20 meters, which were carved in the rocks about 3,000 years ago. The large number of drawings and the fact that older and newer drawings partially overlapping each other, suggest that this worship and/or meeting place was used over an extended period. Among the drawings are 85 images of ships, often in conjunction with solar symbols to symbolize the eternal cycle of nature. Besides you will find 10 animal figures, two human figures, 18 footprints and about 20 carved bowls. Some of the drawings have been painted in color and with a closer look you can discover most of the others too. 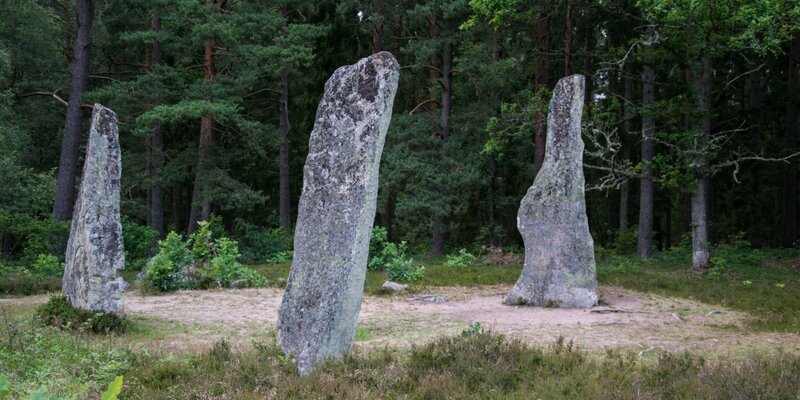 It got its name due to the illustration of of two horses (Häst). With elongate bodies and outstretched necks they match the usual representation of horses as a religious symbol during the Bronze Age. This form, often associated as a draft animal of the so-called solar car, can be found at several other places in Scandinavia . The use of the horse as a religious symbol is because that horses spread out to Scandinavia for the first time in the Bronze Age. The previously unknown creatures were attributed with supernatural abilities.